In everyday hectic life, individuals are stranded with work pressure, balancing career and family life meeting deadlines. The routine also demands to take care of health and thus staying fit and working out on an almost regular basis becomes mandatory and so eating not so palatable food which is healthy is obvious. All these tasks and the race tires an individual in and out. One should definitely take some break from these daily tasks of life and go on a holiday and indulge in good food and travel. Once in a while indulging in a luxurious vacation is indeed therapeutic it not only rejuvenates one’s mind but also it brings back the vitality to continue with regular life when resumed. So if you are planning a trip to India to take a break don’t think twice. You can choose for a star rated luxury stay as there are many 5 star hotels in India. Rajasthan is indeed a good tourist destination. Rajasthan is one very culturally rich tourist destination that will leave an individual pampered in the core of an overwhelming heritage. There are many heritage resorts near Udaipur, hotels in Jodhpur, all these resorts in Rajasthan are exquisite. 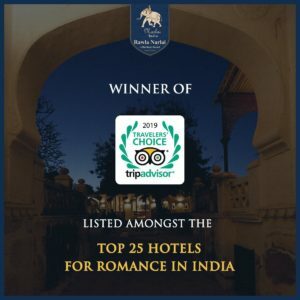 In this context, The Rawla Narlai hotel is an absolute bliss for the traveller to cut out from the madding city crowds and enjoy the luxuries. It is considered one of the most premium heritage hotels in Rajasthan. The resort has amazing dining options. It is truly an experience beyond normal vacations. With Royal Restaurants in Rajasthan and an Authentic Rajasthani Food delve in the culinary delights of Rajasthan. The place has an open step space where one can gather with their loved ones to enjoy the food. 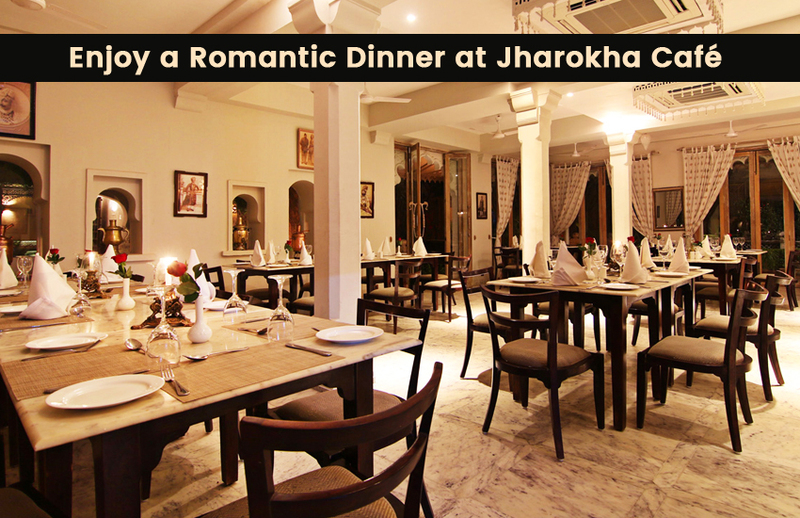 One can also enjoy a Romantic Dinner at Jharokha Café there and experience the happiness that life has to offer. The Jharokha café- It is the resort’s all-day dining restaurant as well as a coffee shop. It offers mouth-watering delicacies on its menu, with handpicked recipes from around the world. With an adjoining courtyard, the café’s space comprises of a palatial dining room as well. The staff of this place is extremely well groomed, catering to the visitor’s request and needs and is seen with a smile. This heritage hotel and restaurant inadvertently offers a serene environment to dine and entwine your sole within its ethereal tastes.